Welcome to the JSC History Portal. It offers access to the JSC History Database, other JSC history materials, and hundreds of NASA history web pages. 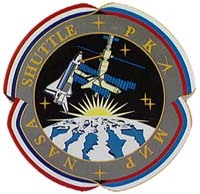 Some links go to developed user-friendly web sites, such as JSC's History of Shuttle-Mir. Some links go to history web pages at other NASA Centers, for example, at Kennedy Space Center and John H. Glenn Research Center. Other links are to the original rough materials of history, such as the Apollo Program Press Kits and the Spacecraft Communications Transcripts. The JSC Roundup offers history as it was happening, reported in the pages of JSC's own newspaper. And the JSC Oral Histories tell space history stories, in the words of those who lived them. These links are presented in a single, mainly chronological file, which may be used here on-line, or downloaded and shared. The side buttons link to specific subjects and historical sections, such as Mercury and Skylab. Official NASA history titles are presented in italics, such as Suddenly, Tomorrow Came: a History of Johnson Space Center. Some of the publications, documents, or transcripts have been exported to individual Adobe Acrobat PDF files for easy searching and viewing. You will need the free Adobe Acrobat Reader to view these files. US Human Spaceflight History provides links to numerous aspects of humans in space. Project Mercury put the first Americans into space. Initiated in 1958, with six manned flights from 1961 to 1963, Project Mercury's objectives were specific: to orbit a manned spacecraft around Earth; to investigate man's ability to function in space; and to recover both man and spacecraft safely. Gemini was an intermediate step between Mercury and Apollo. Its major objectives: to subject two men and their equipment to long duration, microgravity flights; to rendezvous and dock with other orbiting vehicles; and to perfect methods of reentry and landing the spacecraft at a pre-selected point. The Apollo Program landed humans on the Moon and brought them back safely to Earth. After 16 uncrewed vehicle-testing missions and the tragedy of the Apollo 1 launch pad fire, the Earth-orbiting Apollo 7 and 9 missions tested the Command and Lunar Modules. 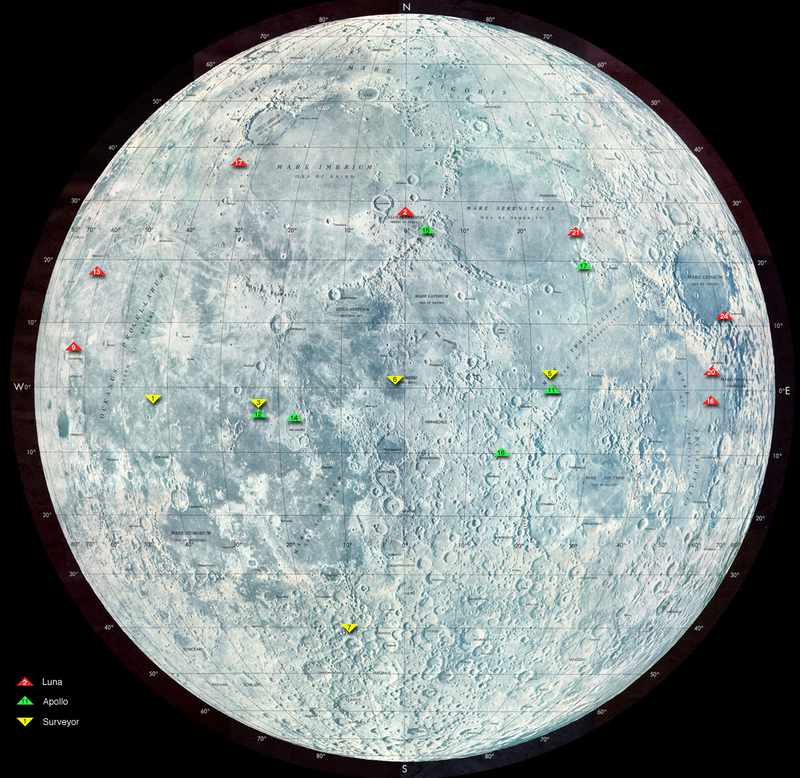 Apollos 8 and 10 tested various components while orbiting the Moon, and returned photography of the lunar surface. Six lunar landings (Apollo 11, 12, 14, 15, 16, and 17) returned a wealth of scientific data and almost 400 kilograms of lunar samples. Apollo 13 did not land on the Moon due to a malfunction. Three planned Apollo missions (Apollo 18, 19 and 20) were cancelled. Flight Dynamics group: "The Trench"
Apollo 204 Review Board Report. The Apollo lunar missions consisted of a Command Module (CM) and a Lunar Module (LM). The CM and LM would separate after lunar orbit insertion. One crew member would stay in the CM, which would orbit the Moon, while the other two astronauts would take the LM down to the lunar surface. After exploring the surface, setting up experiments, taking pictures, collecting rock samples, etc., the astronauts would return to the CM for the journey back to Earth. Skylab was a U.S. space station adapted from the third stage of a Saturn V rocket and launched into orbit in May 1973. Three successive crews of three astronauts each occupied Skylab. The longest mission, which ended in February 1974, lasted almost three months. NASA's four space shuttle orbiters are the first spacecraft capable of routinely launching into orbit like rockets and then returning to Earth as gliders. They are the main element of NASA's Space Transportation System, and are used for scientific research and space applications, such as deploying and repairing satellites. On its own, a shuttle can carry to orbit a payload of about 65,000 pounds. Typical missions have crews of about seven astronauts, orbit at altitudes of around 150 to 250 miles, and stay in space for ten days to two weeks. From early 1994 into 1998, 7 American astronauts spent nearly 1000 days living in orbit with Russian cosmonauts on board the space station Mir. American space shuttles rendezvoused ten times with Russia's space station Mir. Called "Phase 1," the Shuttle-Mir Program prepared the way for the International Space Station and began an era of cooperation and exploration, rarely seen in human history. The STS Recordation Oral History Project involves the collection of history from key individuals formerly and currently associated with the agency’s Space Shuttle Program (SSP), focusing on the Space Shuttle Orbiter and its related components. These interviews include information on a number of Space Shuttle Program aspects from concept development to retirement, and focus on design, hardware evolution, and changes in response to the two Space Shuttle accidents. In addition, the JSC Space Shuttle Program Tacit Knowledge Capture Project was commissioned by the JSC Chief Knowledge Officer and the Space Shuttle Program Manager, and includes twenty interviews with current and former key members of the Space Shuttle Program. In conjunction with the NASA JSC Oral History Project, oral history sessions were conducted for the NASA Headquarters History Office: Administrators; NACA; Herstory; Earth System Science; Aviatrix Pioneers; Ballistic Missile Development Pioneers. Also an Oral History Project was conducted to capture the experiences from those individuals involved with the Shuttle-Mir Program (ISS Phase 1). The audio recordings are located at The University of Houston - Clear Lake in the JSC History Collection. Signed releases from the participants are located in the JSC History Collection. The audio documentary, Apollo 8: Earth's Rise to a New Era, features excerpts of oral histories combined with a narration to present a unique perspective on a venture that resulted in humankind's first voyage to another celestial body.